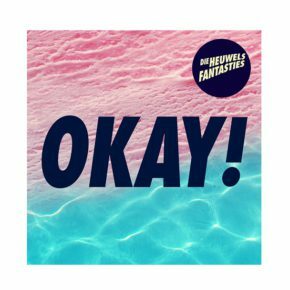 Die Heuwels Fantasties are back with a brand new release, Okay! The long awaited album will officially be released on 5 May 2017 at an epic concert at Weiveld in Pretoria. 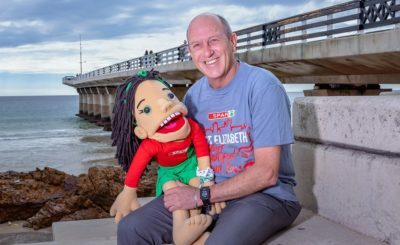 The new album will include original songs written by the group (Pierre Greeff, Hunter Kennedy, Fred den Hartog and Sheldon Yoko), as well as some collaborations with other singers like Valiant Swart, JR and Hanu de Jongh. Listeners can also expect to hear contributions by renowned musicians like Janine Neethling (piano), Adriaan Brand (trumpet), Hiram Koopman (saxophone) and Jannie, from the Gereformeerde Blues Band (tuba and trombone). “At this stage it seems like the songs on the new album can almost stand separately on their own islands, but they also make sense together as a whole. We want the album to reflect where we are now. It seems like music albums are similar to photo albums, because you always listen back to how you felt when you wrote the music. We want our music to have a positive effect on listeners,” Pierre says. 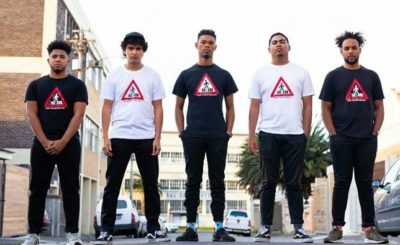 The first single from their upcoming album, LED Liefde, was released at the end of 2016 and followed in the footsteps of their previous successes. All four of their previous releases have received gold status within a short period of time. The song’s universal theme in this digital era, exceptional sound and meaningful lyrics quickly resonated with fans. It not only topped the charts on various radio stations but the lyric video was also a first for the group. Koeëlbaai (with JR) and Gebruik My are some of their favourite tracks on the new album, and they believe that fans will also be able to relate. It is obvious that their new album is more than just OKAY! Tickets for the event at Weiveld on 5 May are available for purchase through iTickets (https://itickets.co.za/events/380067). Tickets for the show will include a copy of the new album but fans who are not able to attend the show can pre-order the album online at www.suprashop.co.za.